UC System Purchase with Student/Academic price. 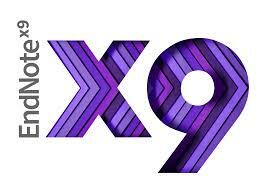 What is new with EndNote X9? Download the updated Connection File, U Calif-Berkeley to search in OskiCat. See our EndNote Support page for tutorials and additional information. a typesetting language for scientific document preparation. LaTeX is a program that converts plain text files into TeX. BibTeX is a tool used with LaTeX to create documents and bibliographies. http://www.latex-project.org. The TeX Users Group (TUG) includes an FAQ, links to software. Reference management programs are personal content managers. These programs allow you to collect and cite sources, create bibliographies in a variety of citation styles, add your own notes and keywords to your citations, save images and pdfs. Many reference managers work with word processing software to format in-text citations and bibliographies for papers and theses, allow you to share references, and enable you to attach or link PDFs to a citation record.